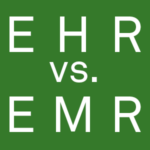 EHR or EMR? Know the difference. 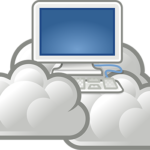 These days everyone refers to the cloud. It’s used to house your music, your photos, and your banking data. By now you know it’s not some theoretical storage system in the sky. As Gizmodo describes it, it is a physical infrastructure that uses a network of servers to store and process information, rather than a single machine.